Treat yourself to the luxury of one of our most elegant collections. The Royal Classic Collection features beautiful curves and detailed legs – for a hand crafted bedroom that surrounds you with sophistication and style. 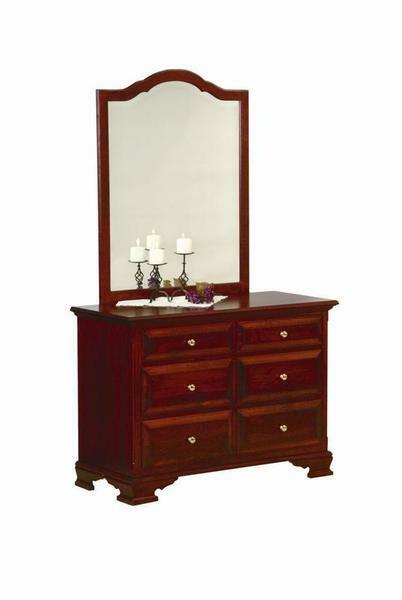 Add our Amish Royal Classic Single Dresser to your bedroom suite today and enjoy six spacious drawers for storage of all your bedroom essentials that you can enjoy for a lifetime. Call us today if you have questions or would like assistance with ordering. Our toll free number is 866-272-6773.